Our Team | Winslow Engineering Inc.
At the heart of Winslow Engineering is our team of employees. Our team members are from various facets of industry with many years of quantitative experience. Our goal is to “make the customer #1” by working with them, solving their problems and following up with timely cost effective ideas to assist in quality solutions. We look forward to the challenges presented by new and exisiting customers from around the world. Kelly is tasked with Machine Repair Order sales and all purchasing in support of the Winslow Product Lines. She has been with Winslow Engineering since 2002, prior to Winslow Engineering Kelly worked in the Marketing Research industry for 21 years. Kelly attended UW Oshkosh majoring in Art. Working at Winslow has been a delight and Kelly looks forward to going to work with her Winslow “family” every day. Kelly lives in Oshkosh with her husband Mark and their three children, Adam, Ross and Erica. They have a pet donkey named Jezebel. Dave joined the Winslow Engineering Group in 2003. Prior to joining Winslow Engineering he worked for Giddings & Lewis for 16 years primarily in the precision assembly phases of various machine tool products and the Sheffield CMM products. At Winslow Engineering his main focus is to provide our customers with quality products that will satisfy their expectations. Dave is responsible for incoming inspection of parts, mechanical and electrical assembly, and testing of our products. He also provides technical support to assist our customers with operation or troubleshooting problems. Dave is married to a special woman Brenda and has a wonderful son and daughter Hunter and Megan. Dave’s time away from Winslow Engineering is spent with his family biking, boating, traveling, and in the winter, skiing. 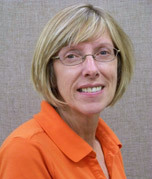 Lori began at Winslow Engineering, Inc. in 2001 as our Office Manager. 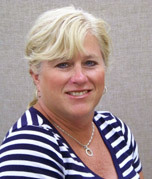 Along with accounts payable and receivables, Lori’s responsibilities include sales and shipping. Prior to her employment at Winslow, Lori had 27 years of experience in the Marketing Research Industry. Lori enjoys reading, camping, canoeing and biking. Her spare time is also spent trying to master the violin. Jeff is the new member on the Winslow Engineering Team, starting in July of 2015. Jeff brings many years of quality design and hands on experience. Jeff's responsibilites include new development and support for the existing Winslow Engineering products. In Jeff's spare time he enjoys hunting, fishing, and many other outdoor activities. 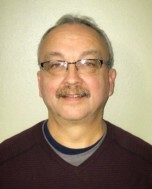 Ken has worked in the Mechanical Engineering Field Since 1982. Ken graduated from Milwaukee School of Engineering in 1989 witha B.S. Degree in Mechanical Engineering Technology. 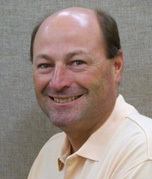 Ken started wtih Giddings & Lewis in 1989 and began consulting engineering full time in 1995. Ken & Rick purchased the Winslow product line in 2001 from Giddings & Lewis. Hobbies include fishing, camping, hiking, biking, and traveling. Pat started with Winslow Engineering in 2001, previously working part-time for Ken and Rick at O.S. Engineering. At Winslow Engineering she is involved with organizing and keeping track of repair parts inventory. Pat currently lives in the St. Peter area. 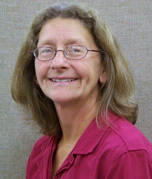 She enjoys spending time at the cabin, hiking, walking, camping, biking, flower gardening and landscape projects. Rick graduated from Milwaukee School of Engineering in 1982 with a BS degree in Mechanical Engineering Technology. 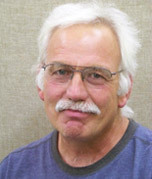 He started to work for Giddings & Lewis in 1982, working in Mechanical Design and Field Service. Rick was introduced to the Winslow Product line in 1985 while employed at Giddings & Lewis. He left G&L in 1997, starting a business with his present business partner Ken. Ken and Rick purchased the Winslow Product line from G&L in 2001, setting up the business just outside of Fond du Lac. His hobbies are golfing, fishing, and biking.